2018 UJAMAA BOOK FESTIVAL, WASHINGTON DC! Harambee Books & Artworks will host over forty local and national bestselling authors on March 31, 2018 for one day of writers' workshops, booksignings, Children's Corner, music and theater during their 2018 UJAMAA BOOK FESTIVAL! CALLING ALL AUTHORS TO THE DMV! GET YOUR BOOK IN THE HANDS OF AVID READERS! The event attracts a wide array of authors, publishers, book clubs, libraries and individual readers from the Northeast U.S. and nationwide. 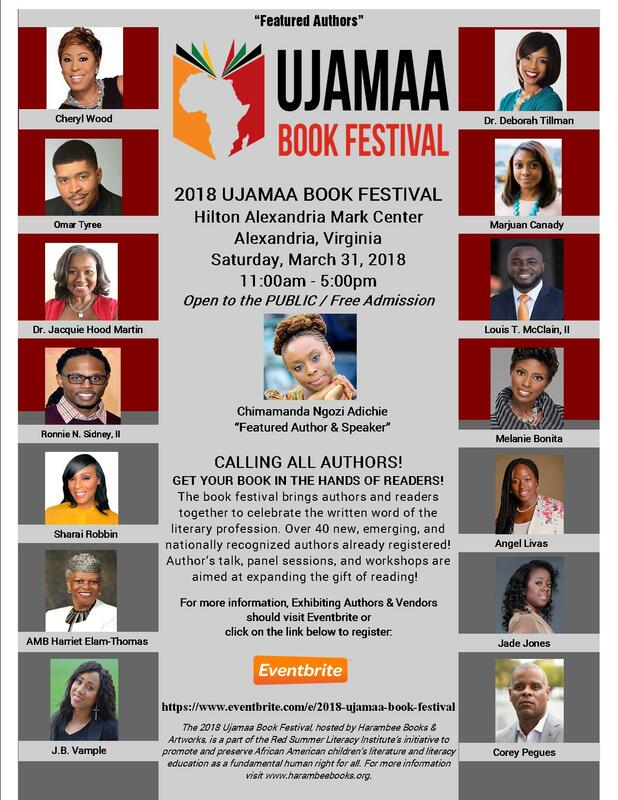 The 2018 UJAMAA BOOK FESTIVAL is scheduled for March 31, 2018 at the Hilton Alexandria Mark Center Hotel, Alexandria, Virginia and is hosted by Harambee Books & Artworks, one of the leading black-owned bookstores promoting African-American literature. The 2018 Ujamaa Book Festival brings over forty authors and fifteen-hundred readers authors together to celebrate the written word of the literary profession. Over 40 new, emerging, and nationally recognized authors already registered. Author's talk, panel discussions and workshops are aimed at expanding the knowledge of the discerning reader and fledgling author. We invite you to be a part of this exciting event. Meet Harambee Books & Artworks, an independent black-owned bookstore based in Old Town of Alexandria VA, serving the Washington DC metropolitan region, with a wide selection of best-selling books, exclusive artworks, and fashionable apparels. We also provide educational resources, reading programs, and community-based events to improve literacy skills and foster parental engagement. Harambee Books & Artworks was conceived to achieve our mission of literacy education as a fundamental human right for all. Call or come by Harambee Books & Artworks; (703) 299-2591, or info@harambeebooks.org, https://harambeebooks.org, we look forward to hearing from you. 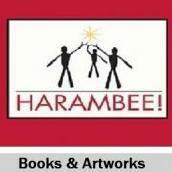 @Harambee Books & Artworks, I just added your Book Festival to our event calendar. I see you have Chimamanda coming — that is big! Thanks, we are still working hard to make the 2018 Ujamaa Book Festival the best-ever in the DMV!! !